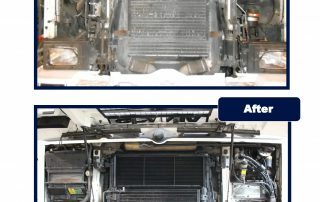 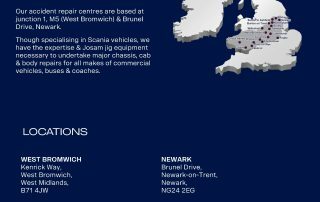 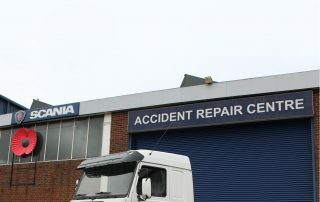 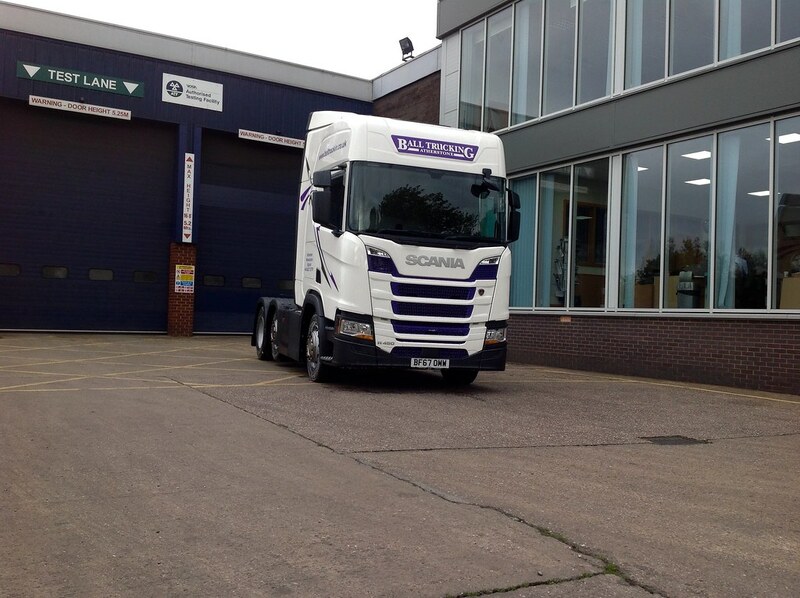 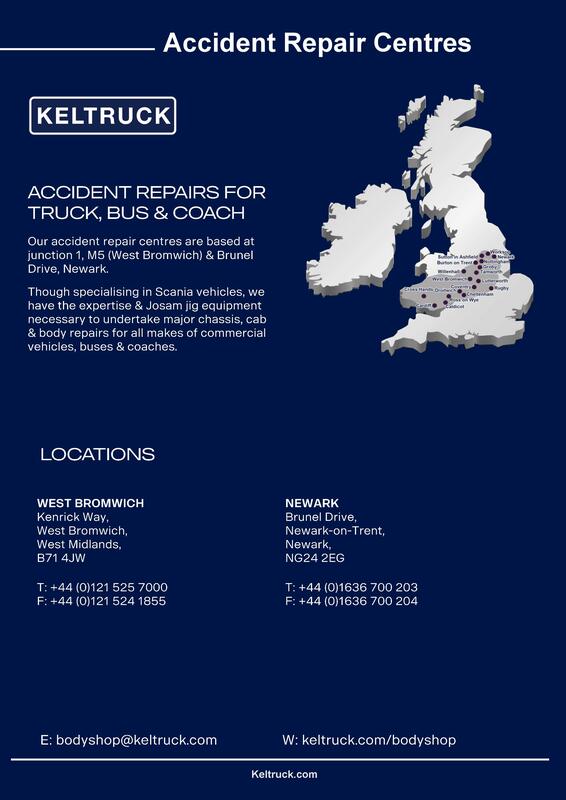 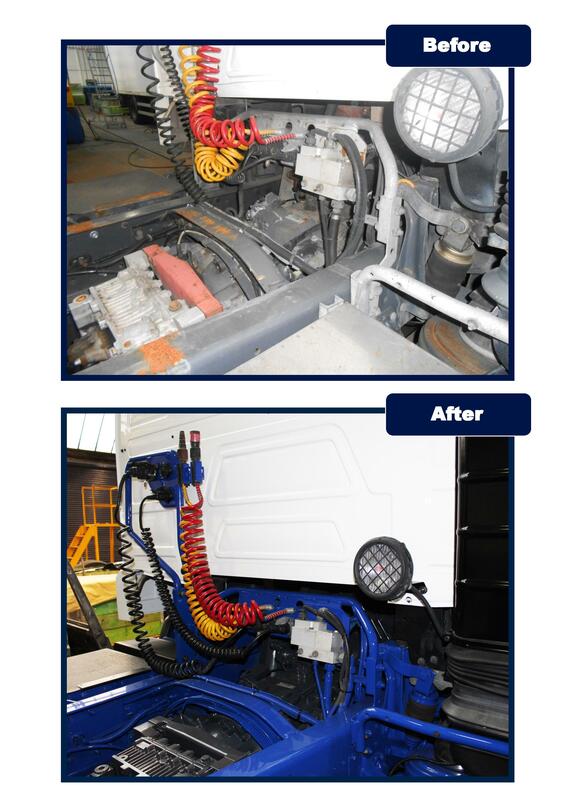 Keltruck has two accident repair centres, at West Bromwich and Newark. 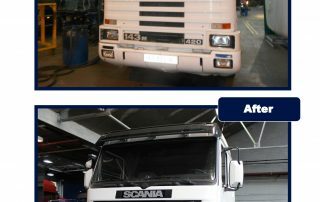 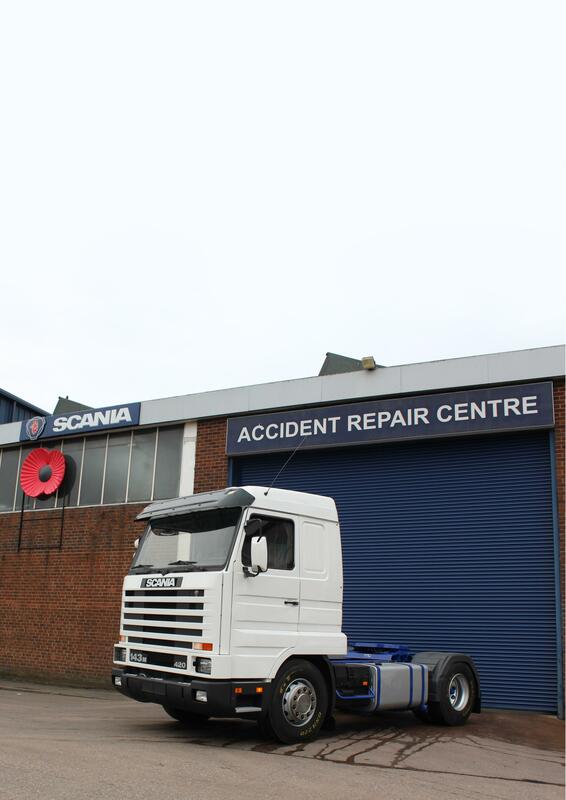 While specialising in Scania vehicles, they have the expertise and Josam jig equipment necessary to undertake major chassis, cab and body repairs for all makes of commercial vehicles, buses and coaches. 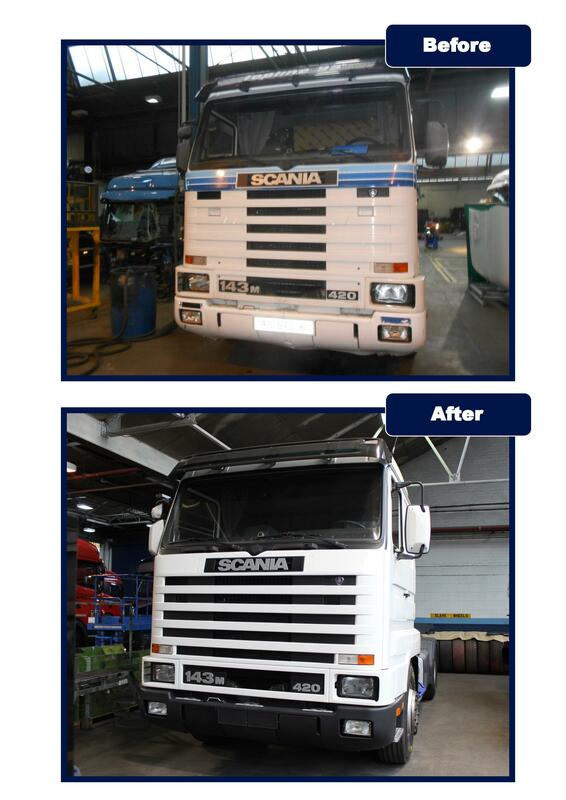 The vintage Scania vehicle is from Italy, so was in good condition with no corrosion on the cab. 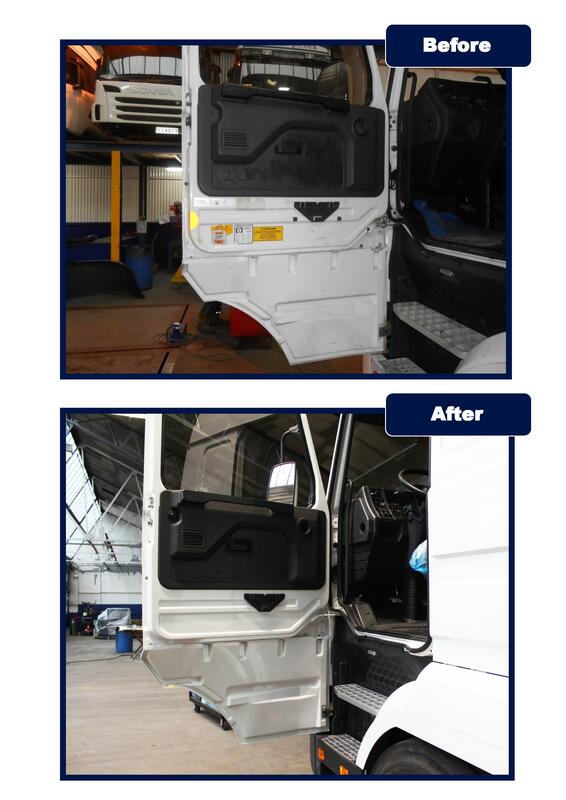 There were just a few dents, and the driver’s door bottom hinge needed welding. 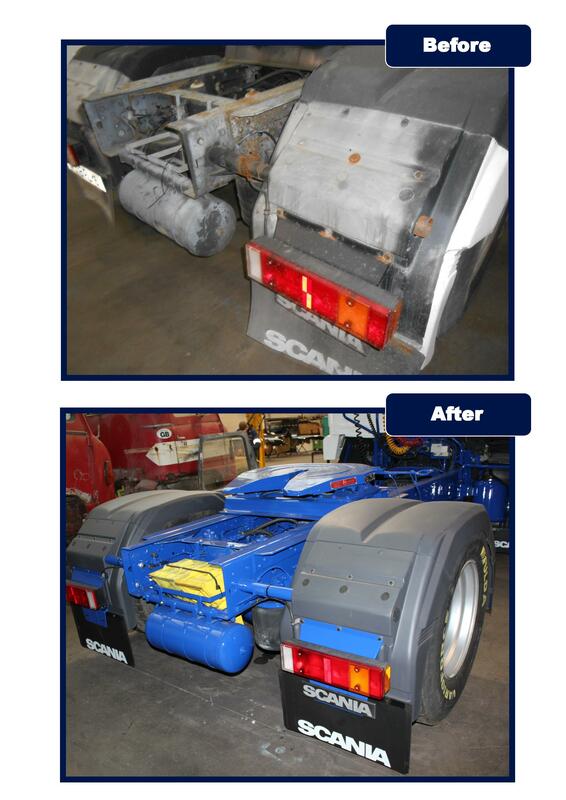 The chassis was also clean apart from the very rear, which was corroded probably due to a spilt load. 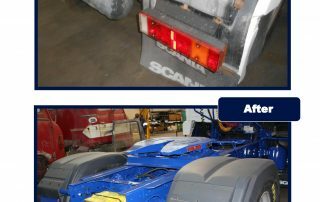 The chassis plastics were all scrap and needed replacing, or repairing where they are obsolete. 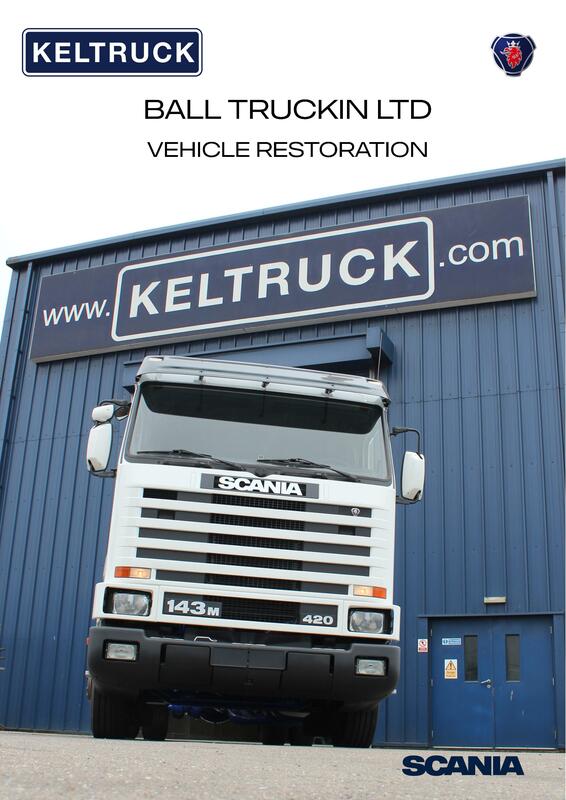 Keltruck stripped the truck, shot blasted the chassis, and then prepped the cab and chassis for paint. 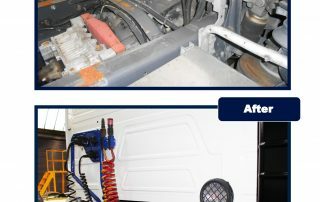 When ready for priming, the truck was moved into the Dalby spray-booth and masked up, and the chassis and cab were primed with a two-pack high build anti-corrosive primer. 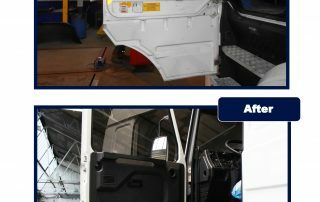 A guide coat of paint was then applied to the truck, so the bodyshop team could flat it back and see any imperfections prior to top coating. 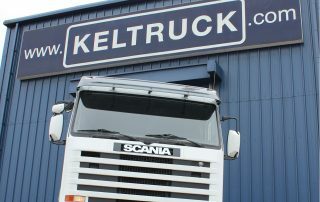 After this guide coat had been flatted back, Keltruck put the truck back into the spray booth for a top coat. 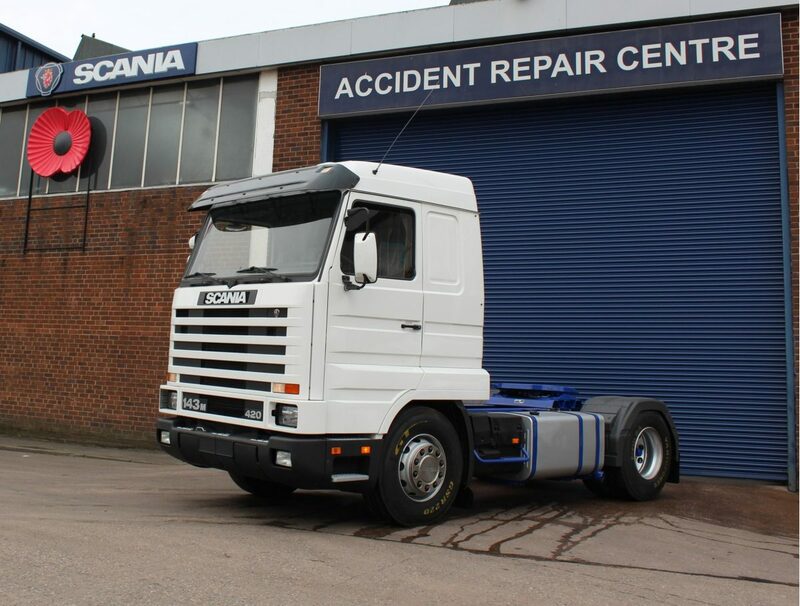 The cab was painted first in series three Scania white, baked, then masked off so the chassis could be painted in Alan Ball’s blue. 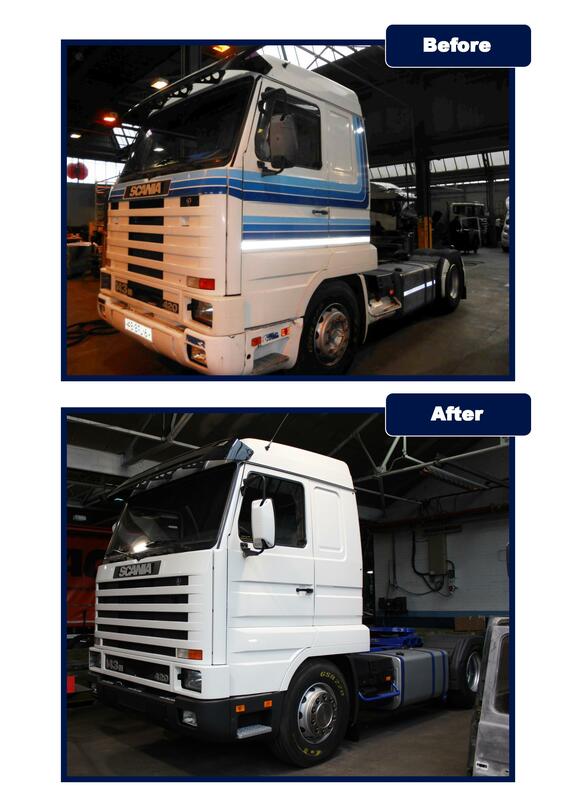 All the chassis ancillaries were painted separately, including the fuel tank. 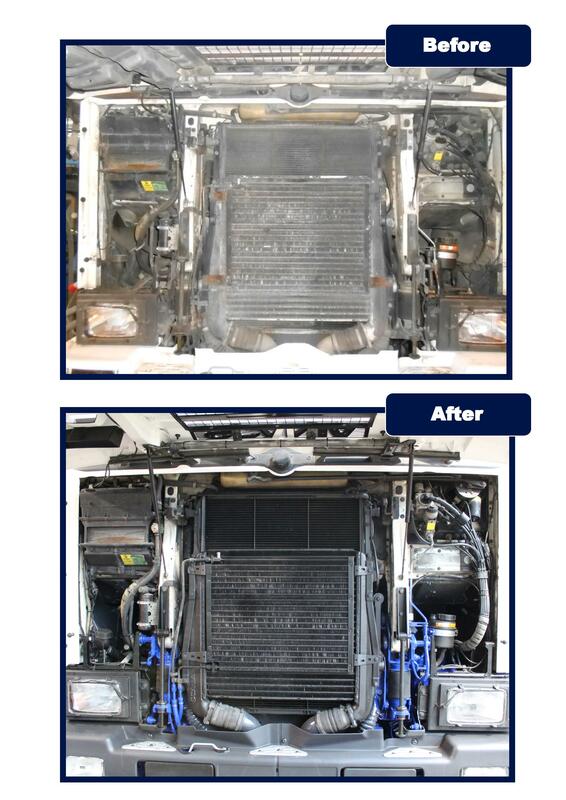 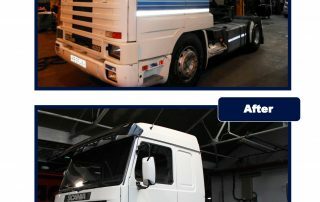 Following the painting process, the truck was de-masked, taken back into the bodyshop and rebuilt, including fitting new dashboard clocks and a new gear knob supplied by Alan. 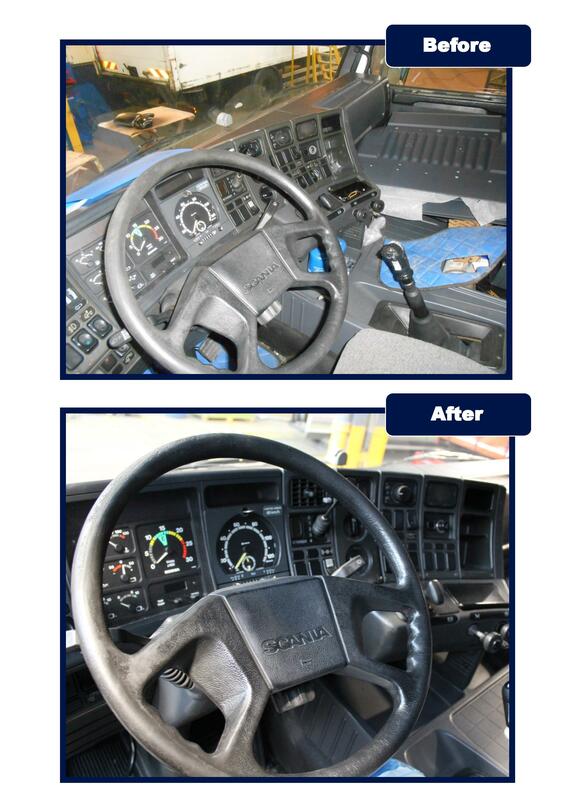 Any worn out fixings were replaced, and many parts refurbed and cleaned back to original. 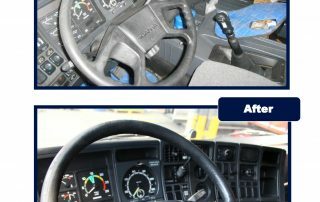 All cab furniture, such as door handles and mirrors, was prepped and repainted its original colour.